Toddler tantrums can strike at any point – in the grocery store, in the shopping centre or even just as you’re lounging around at home. There can be many different causes for a tantrum too. Lack of sleep is normally one of the first things to spring to mind, along with being uncomfortable or upset in a situation. But have you ever thought your toddler might be having a tantrum because of their hunger and nutrition? Ah yes, hangry. I bet you’ve felt hangry before (that awful combination when hungry turns into anger) and welcome to one of the biggest influencing factors to toddler tantrums that I see frequently in my clinic. The food we eat and the nutrients we choose to sustain ourselves and our children with has a big impact on our emotions. I go into depth in my book about how sugar, for example, can contribute to a range of long-term health problems such as diabetes, obesity and immune deficiency, but what about the short-term issues? The almost instant impact of the sweet stuff is a sugar rush (we’ve all been there). This is when blood sugar levels spike and children experience an energy increase. Following this, is the dreaded come down – the crash and burn – and this is where the tantrums often kick-in. Ensure your child is satiated. Avoiding hunger-induced tantrums doesn’t start when your child begins to get grizzly, it starts by ensuring your child is properly satiated at mealtimes. Mealtimes and snacks should be both filling and nutritious, packed with a variety of healthy fats, proteins and veggies so there’s less room for tantrums to sneak their way into your day. In my book, I have dedicated chapters on how to boost protein and increase healthy fats, as well as many family-friendly recipes that include a delicious combo of the two food groups. 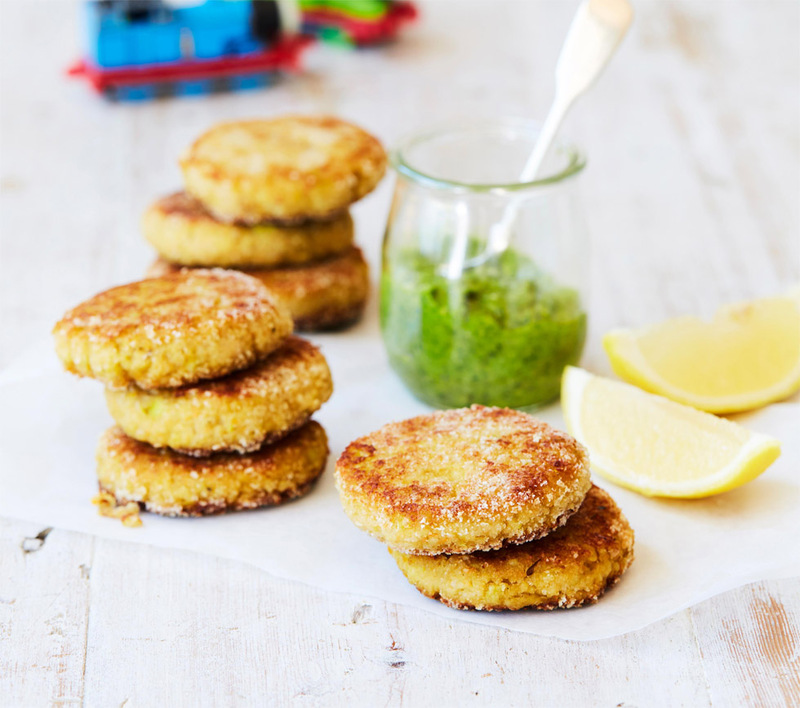 Try these tasty Salmon and Millet Rissoles or my Coconut Lamb Meatloaf which will ensure your child is firing on all cylinders. Not only do these meals work wonders to control your child’s appetite, but they’re also packed full of nutrients and fat-soluble vitamins to improve bone strength and boost immune function. Win, win. Asking for food or snacks in between their normal eating routine. Once you can identify these signs for your child, it’s a lot easier to remedy the situation with snacks or their next meal before it turns into a tantrum. Always arm yourself with nutritious snacks. Mums are magicians at packing a fool-proof bag that contains everything you could possibly need for any situation. With that in mind, don’t let snacks slip. If you know your child is prone to tantrums when you’re out at the shops or in the car, make sure you have healthy snacks on hand. Cheese, tomato and cucumber salad cut into fun shapes. Look for hidden food preservatives and additives. Many food additives or preservatives can cause your child to experience hyperactivity, lack of concentration, tummy issues and even induce irritability and tantrums. As these are typically found in pre-packaged foods such as vegetable oils, margarine, baked goods and cordials it’s my advice to leave as many of these on the shelf as possible. I go into depth in my book about how to best avoid these nasties. Artificial food colorings have been studied for years for their link to hyperactivity and irritability in children, with some countries even taking matters into their own hands and banning synthetic colorings altogether. This one can be easy to spot as they’re typically found in processed, colored foods. But, avoiding colorings doesn’t mean it’s time for boring food. In fact, I’ve developed a Natural Rainbow Cake recipe which can be found in my book (page 281), which is completely colored with natural ingredients. Sodium Benzoate is another commonly used preservative that’s been linked to hyperactivity and inattention in children. It’s actually used to hide that ‘processed taste’ some foods may have and can be specifically found in orange products like soda, cordial and juices. Keep your eyes peeled for it on product labels, or simply start to reduce processed orange products. Although the jury is still out on the evidence suggesting that these can impact your child’s behavior, there is enough reason to reduce your child’s intake and watch for signs of improvement. Omega-3’s have been proven to improve mood disorders, so if your child is prone to regular tantrums, it’s a good idea to increase their intake of omega-3’s in order to bring a sense of calm. Some easy additions to their diet are chia seeds which you could whip up in my Mango Chia Pudding (page 197 of my book), flaxseeds which make scrumptious Flaxseed Crackers (page 185 of my book) or even salmon in these Tasty Salmon and Millet Rissoles. Spinach – Leafy greens are packed with magnesium to regulate cortisol levels and boost serotonin. 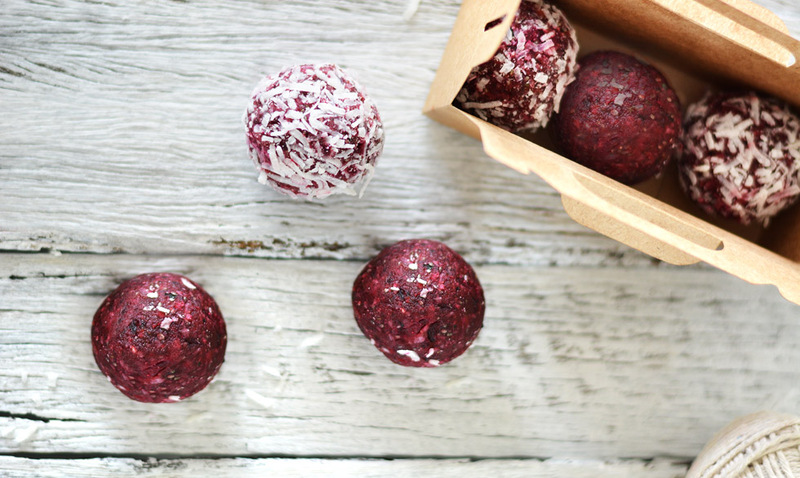 These delish Beet and Spinach Bliss Balls will do the trick, just make sure you blend the spinach finely and your child won’t even know there’s any in there. Blueberries – Berries are a superfood packed with antioxidants like vitamin C to help our bodies ease stress. Try my Cinnamon Bunny Biscuits with Blueberry Filling, or use berries as the perfect stress-busting topping to your morning oatmeal. Asparagus – This green veggie is great for increasing levels of folic acid which can improve the mood of little ones and even ease depression symptoms. Add this powerful veggie to your stews, soups or roast veggies. Almonds – Munching on some almonds throughout the day or when you preempt a tantrum can help to support the immune system, and ease stress and tension. You could even swap out their peanut butter sandwiches for almond butter instead. If you’ve made sure your child is properly nourished and they’re eating plenty of satiating protein and fats, there could be an underlying issue. If you’re concerned, we recommend seeing your GP or contacting Mandy for a consultation.